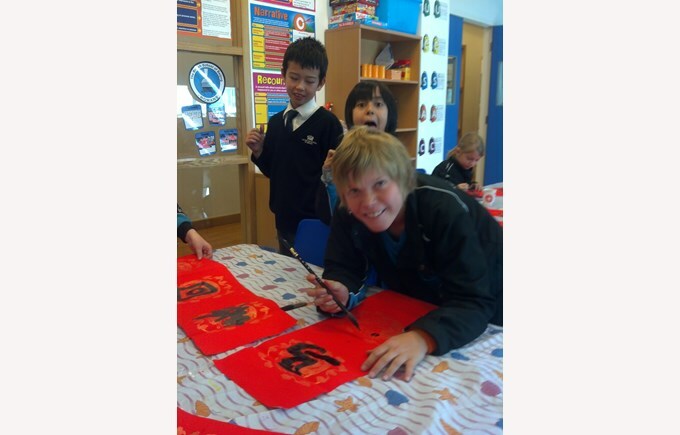 This week children across the school enjoyed various activities to celebrate Chinese New Year. From each activity children experienced an aspect of Chinese culture. They acquired new words and expressions within each activity. The coming new Zodiac animal is the horse, so in Year 1 children learnt a song about the horse. They also drew fish, which is the symbol of long life, for making traditional Chinese decorations. In Year 2, we talked about the 12 zodiac animals and the Great Race of the animals. Children were so happy to play the animals in the story. 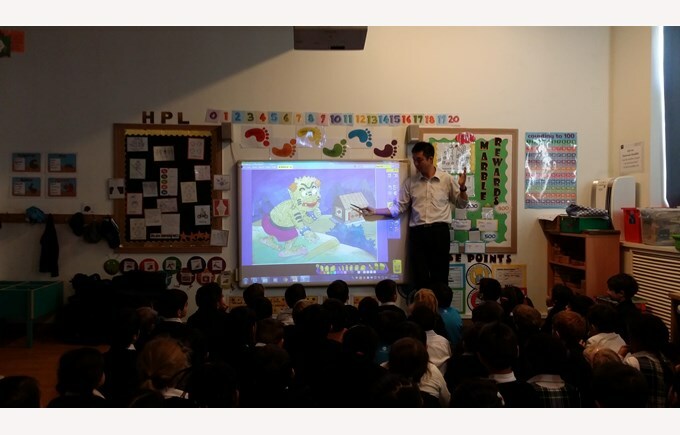 In KS2 we talked about the legend of Chinese New Year and the monster “Nian”. In the story, children learnt why during Chinese New Year all the doors are decorated with red couplets. Children also learnt very basic calligraphy skills and wrote the couplets and “Fu”. If you have been walking through BSB Sanlitun, you will have seen all the doors and hallways are decorated with children’s work. Throughout this week children have adopted the Chinese Tuanbai tradition. 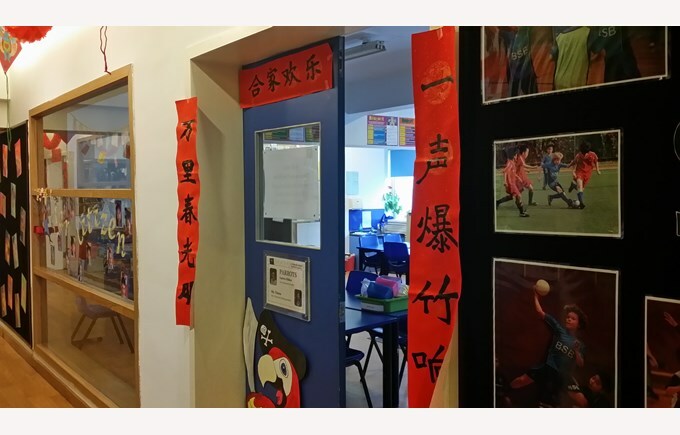 They have prepared various activities such Chinese songs, dance, poems, stories, cultural presentations and even dragon dance to share with their friends in different classes. Each class visited a friend class and presented what they learnt this week. 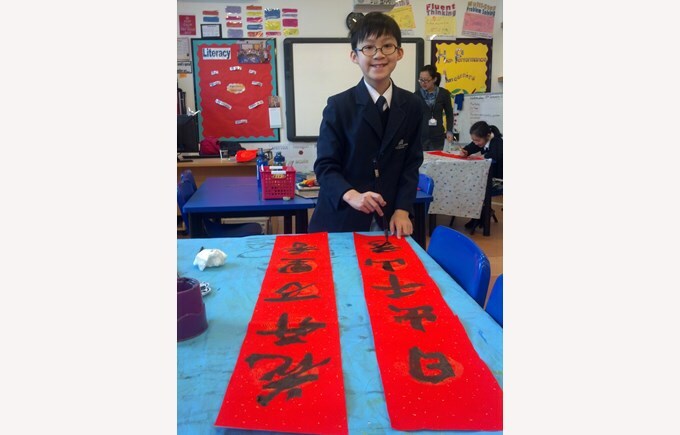 Y5 children made posters to present the traditions and activities during Chinese New Year. When children were designing their posters they automatically use their Chinese language skills to search for all the information on the internet. Some of the children even learnt to type Chinese. In Y3, children learnt Chinese poems. Not only can they recite the poem, but also sing the poem! Quite impressive! Today we welcomed parents to join in with our traditional dumpling making sessions. Each student has learnt how to prepare delicious dumplings. Enjoy the dumplings your child will be bringing home. Wishing you all a prosperous year of the Horse!